In this ever-changing digital landscape, strategies and technology are subject to change drastically and voice search optimization is one of the tremendous examples of such rapid changes. 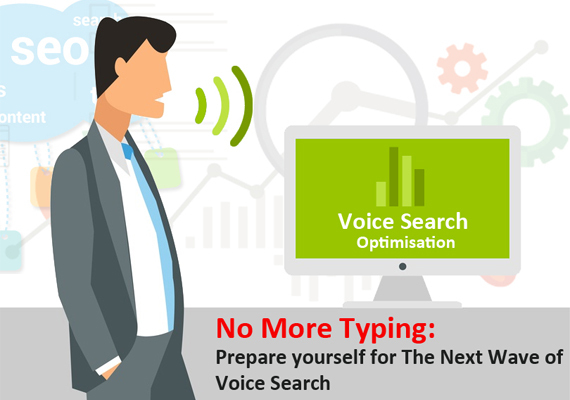 Since Google Voice Search have almost doubled since last year, you probably be thinking to bring it down to your website too, however, optimizing your website for voice search isn’t an easy stuff perhaps. Over the last couple of years, SEO has shifted from the keywords to long-tail search terms. Stuffing unnatural keywords into the article now won’t be possible anymore because Google is now looking for the answers to the specific questions. Search engines are very specific to well-researched content for the better visitor engagement and to improve the quality of search results. Voice search optimization could be separated into three major areas; local, mobile and knowledge graph. Let’s discuss them all one by one. Mobile- With the mobile-based searches have almost double-fold over the last couple of years, it would be better to go for the mobile optimization to incorporate the voice search in this context so it would be a great way to start with mobile friendly experience. Graph- When your queries have a knowledge graph result, Google will probably chat back to you. If you are still at the beginning of your voice search journey for your website, you must consult with our experts who have the deep and diverse understanding of how voice search exactly work and how to optimize your website for the voice search. Local- According to the several studies that have been carried out recently, mobile queries indeed have the strongest local intent and seeing that we can assume that the voice search is happening primarily on a mobile device then we can rationally suppose that a substantial chunk of these will have local intent. If a local search has always seemed a trivial part of your SEO strategy, it’s a time to change. Though Google will not penalize the websites for not being the mobile SEO friendly, upcoming years in search engine marketing will be headed by the websites that incorporate search strategies for the talkers and typers alike.